Closet Systems, Winston-Salem, NC | Residential Building Specialties, Inc. Closet Systems, Winston-Salem, NC | Residential Building Specialties, Inc.
We offer free consulting and custom closet design services upon request. Since 1990, Residential Building Specialties, Inc. has been a full-line distributor of ClosetMaid Shelving Products. When you work with us on your residential building or remodeling project in Winston-Salem, North Carolina, you will quickly find that our list of product suppliers is made up of trusted names in the industry and our services extend well beyond the initial sale. With the construction of closet systems, we offer free consulting and custom closet design services upon request. Our showroom has full closet displays where homeowners and contractors alike can discover the many options available to them. We offer Wire Closet Systems, Master Suite Laminate Systems and Garage Laminate Systems, and Wood Ventilated Systems, and ClosetMaid offers a lifetime free replacement policy on their products. 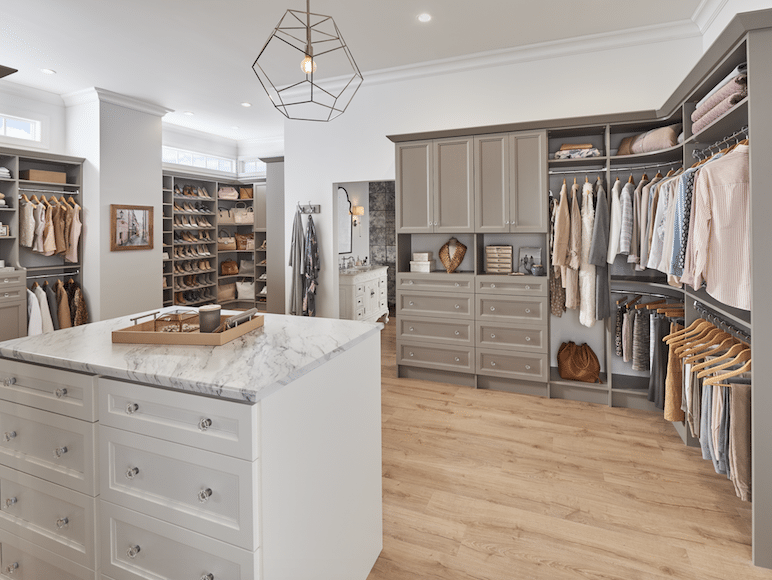 In addition to finding storage solutions for closets in a home, you’ll also find all of the door hardware, mirrors & glass, bath accessories, and more that you need to complete your construction project. Our knowledgeable staff will be happy to consult with you to select the finishings and fixtures that make sense for your application prior to completing installation. There is no better place to turn for your closet systems and storage solutions than to our team at RBS. If you have questions about closets or any of our other products and services, contact us today for more information.